As someone who has been lucky enough to experience several spas in my time, ESPA Life at London Corinthia is by far the best one I have been to in London. It's one of those spas where you can literally lose yourself in another world and is so relaxing that you almost forget where you are, and even who you are. 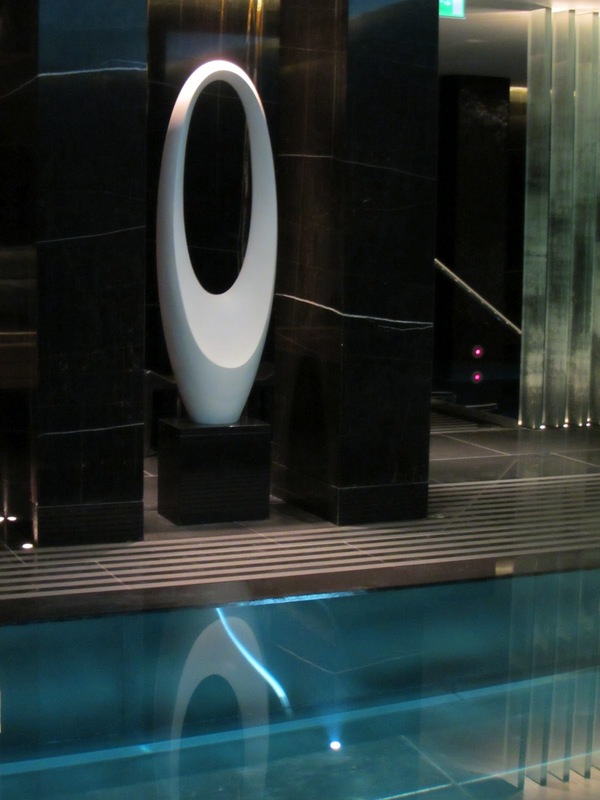 Located within the London Corinthia Hotel (which is also fantastic and worth a visit, even if just for afternoon tea), every inch of ESPA Life oozes quality, luxury and professionalism. 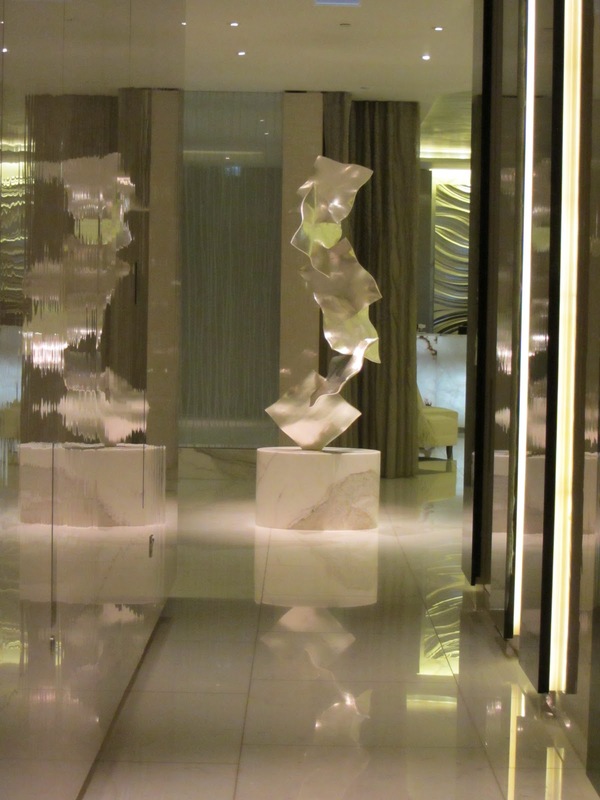 As you arrive along the corridors made of crackled 'mother of pearl' laquered walls and marble floors, you leave any stress and tension at the door as you make your way to the reception area. 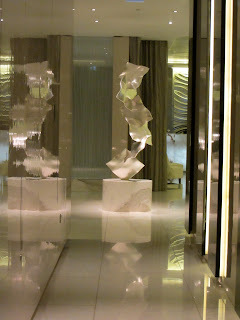 Greeted by a friendly and welcoming team, I arrived for the Spring to Life Day Spa Package. I started with a 25 minute Wellness Consultation with Hannah Yang, a Naturopathic Physician who definitely knows her stuff. She was really informative and helpful as we discussed nutrition, diet, aches, pains and various health queries. Next stop was the Thermal Floor, via the changing rooms which are a haven on their own. They've got smart lockers to put your belongings; dressing tables complete with hairdriers, deodrant and hairspray; showers with complimentary ESPA shower gel, shampoo & conditioner; a special machine to spin-dry your swimwear and lots of resting areas with lounge beds complete with a warm fire, plenty of magazines and fruit-infused jugs of water. 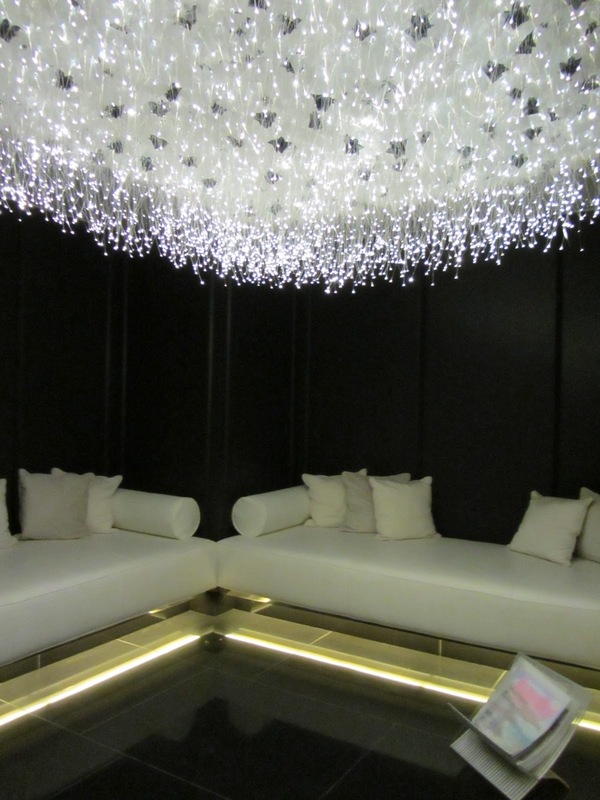 There is even a room full of sleep pods where you can curl up in a dimly-lit pod, listen to music and have a snooze. Ahhh. Where was I? Oh yes, the Thermal Floor. Well this was just fabulous. I started off doing 50 lengths in the swimming pool which was a perfect tepid temperature. Luckily I was there mid-week when it was so lovely and quiet, I literally had the entire place to myself. The pool is calming with white sofas along the side and the mesmerising reflection of the water on the specially created ceiling. From there I went to the vitality pool which was great fun, much warmer and complete with jacuzzi corners, a waterfall option and a bubbling bench. I could have spent hours in there! 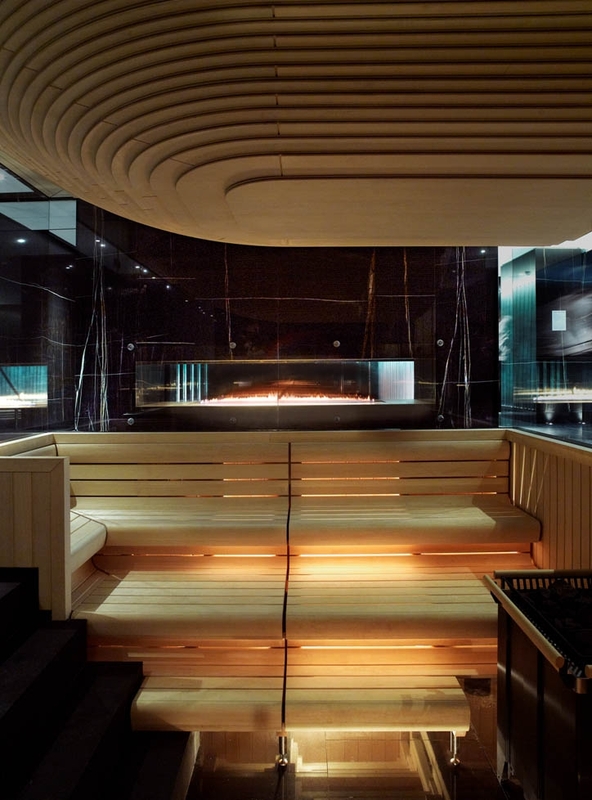 After all that swimming, it was time for a quick steam in the luxury steam room, then into the most amazing sauna I've seen which has a wooden interior and glass walls, so not at all claustrophobic. In fact it felt like being in a Swedish mountain lodge (not that I've been in one of those). Next to the sauna is a large marble bowl where crushed ice sporadically cascades into it. 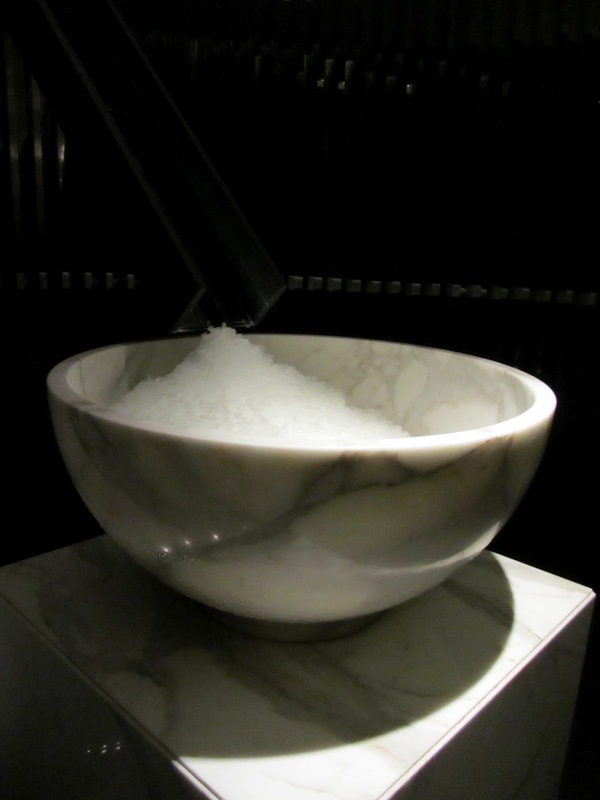 Once you've done your time in the sauna, you grab handfuls of crushed ice and rub it into your hot face and body. You might let out a little squeal, but it's very invigorating! After all that thermal action, it was time for lunch. Clad in my complimentary robe and slippers, I made my way to the Spa Lounge for a 2 course champagne lunch. To be honest, I don't drink champers, and I even said no to wine (which is a first), instead opting for a large super-active juice full of refreshing acai, goji, elderflower and cranberry juice. For lunch I enjoyed a whole grilled lemon sole with samphire seaweed and a tasty salad. Who knew eating such healthy food could be so delicious. As well as lunch, the Spa Lounge offers an extensive menu including breakfast, all day lunch, juices and afternoon tea. There's even cake. Feeling completely refreshed, relaxed and content, it was time for an afternoon of treatments. Sarah, my therapist, took me to a lovely beauty room where I started with a sensory testing, using different scented oils to establish which ones were most suitable for my facial and massage. You get to choose what style of music you want which is a nice touch, so none of that irritating Tibetan dolphin nonsense (okay, I know dolphins are hugely scarce in Tibet, but you know what I mean). I had a fantastic 25 minute back, neck and shoulder massage where she did a great job getting into all the nooks and crannies and releasing all the left over tension. Then it was time for my facial which I can hand on heart say is the best facial I've ever had. It was a 50 minute re-hydrating facial, using ESPA products (which I'm now converted to) and felt so thorough that my skin felt great for many days to follow. Everything about ESPA Life was spot on, from the mood lighting, interesting textures and calming atmosphere. It was absolutely a haven of pure tranquility and I thoroughly enjoyed every moment. When I left six hours later, I felt like a changed (and very healthy) woman. In fact I'm now off to buy me some goji juice, a samphire plant and a vitality pool. I was almost calling them to book before I'd finished reading this - sounds heavenly!